We tailor our examinations to suit your needs. Every patient is different, and so are the examinations! 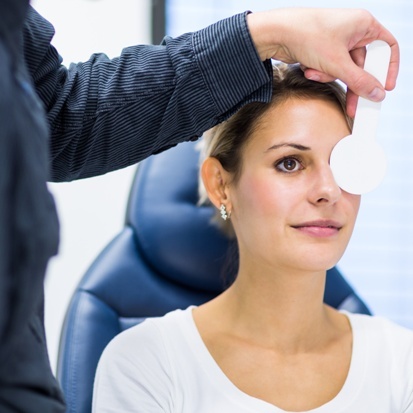 Wellness eye examinations are recommended for everyone once a year. You exam will also include prescription for glasses. 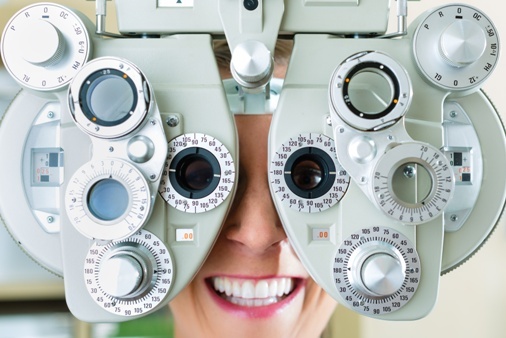 If a medical problem is detected during your wellness exam you will be asked to return for your wellness exam on another date, so we may provide you with an accurate prescription for your glasses. Contact Lens examinations* will include a prescription for glasses, and the contact lenses most suitable for you and your lifestyle. We do clear and colored contacts, astigmatism lenses, multifocal contact lenses, monovision fittings and hard contact lens fits. Contact lens exams will include a pair of trial contact lenses in your prescription, and a contact lens care kit. Pre-operative and Post-operative care for Cataract are provided and the fees for these exams are usually rolled into the procedure fees. Dr. Chettiparampil co-manages these procedures with several surgeons in the area. LASIK and other refractive surgeries – Dr. Chettiparampil Co-manages LASIK procedures with Dr. Brian Wright at the Mann Eye Institute. Please call us to schedule a free consult, and more information. Orthokeratology: Dr. Chettiparampil offers this service for myopic pediatric patients. Please schedule your comprehensive eye exam to determine your child’s eligibility for this service. *fees vary with complexity of exam.